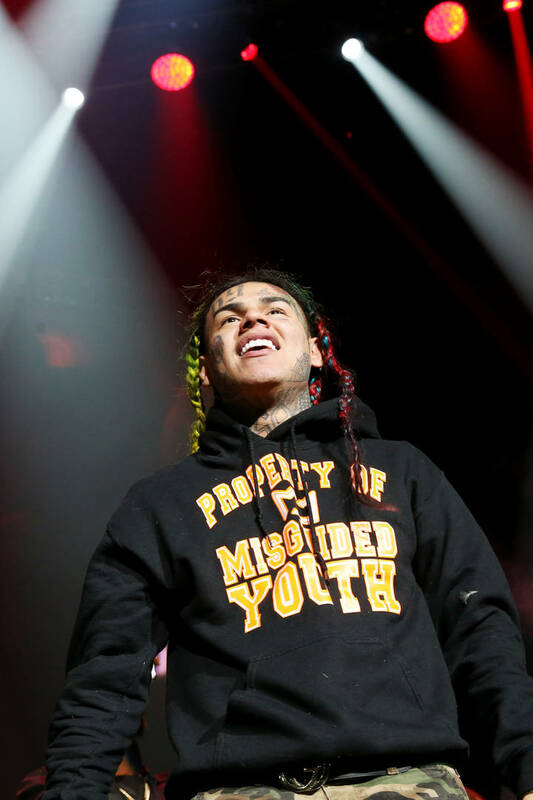 Tekashi 6ix9ine snitched, as many presumed would be the case including his baby mama Sara Molina. She recently sat down with Vlad where she spoke on the rapper's guilty plea, snitching on Kooda B and more. Sara Molina opened up about 6ix9ine's guilty plea while reading the recently released transcript of his testimony against his co-defendants. Molina explained that if you read between the lines, the rapper will walk away without doing any sort of prison time after snitching. "You gotta read in between the words," she said. "He basically admitted to the crimes he took part of, his participation, and he's agreeing to disclose any other information as far as what happened and who was there and how it happened. And set forth, since he has done that, as long as he doesn't get into any further criminal activity or crime, all nine counts are out the window. That's how I take it. Basically, we could read in between the lines of what his agreement was." Adding, "I just think that it's unbelievable but in a sense, not so much. For people [on the outside looking in], it's unbelievable but I mean, it's kind of what was expected." Molina also spoke on 6ix9ine's decision to rat on his friend, Kooda B. 6ix9ine admitted that he paid Kooda B $20K to shoot at Chief Keef and will now be testifying against Kooda in court. "It's super fucked up," she said. "He has a whole song named after Kooda. It wasn't a random person that he didn't know that would just do it for money. If Kooda did do it, he did it off the strength of his relationship with my daughter's father. They were friends."